It takes a lot of courage for a couple to seek counselling together. Usually counselling is a last resort, a desperate try to repair a failing relationship. So often there are children to be included in the equation – so many painful issues on so many levels. The first contact is very often from one of the couple seeking one on one counselling. It becomes obvious within a couple of sessions that there is a major break down in the personal relationship in his/her life which is causing the total despair. At that stage the counsellor and client talk about whether putting both partners together would be beneficial. If I am asked to meet the partner then I always suggest I do two sessions with the new client alone and of course that there is a willingness on both sides to investigate the process. Then, when they feel the time is right they share appointments. The way the appointments work is for the couple to sit facing each other and addressing each other rather than me. This is generally a very emotional experience and a learning curve for them both. There has to be total honesty within the counselling room and they both need to be confident that the content of the sessions never leave the room. Therefore totally confidential and a feeling of safety. Three steps forward and one back in couples counselling ! I always cover past experiences of childhood and how dysfunctional it might or not have been. I only investigate that part of the clients life individually with them. It can be vital information in unravelling the ‘here and now’. We are all still the Children we were ‘in the playground’. Progress can be a roller coaster with lots of ups and downs just as in normal life! 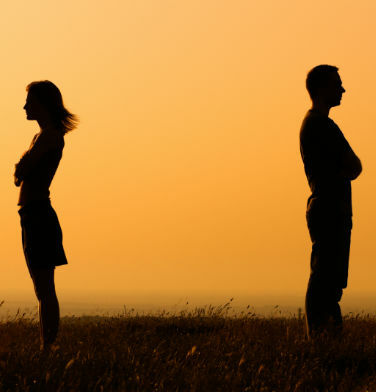 Three steps forward and one back in couples counselling. The aim is to try and get in touch with each other’s feelings and try to see why and how they have changed feelings about each other over a period of time and to see how those feelings can be retrieved. There can often be issues around anger management that need to be looked at. It is important for both unhappy people to individually have an equal chance to explain their concerns, which can be a tremendous relief. My boundaries are made quite clear in the first session that raised voices will not be tolerated, nor will talking over each other. The lack of listening to each other is something that needs addressing – the need for communication. I usually suggest 6 sessions and then a review. The couple will know whether continued counselling would further benefit their relationship. Sometimes we work out a maintenance programme so there are no feelings of finality. Please contact me if you think I might be able to help you.